I'm so excited to share my latest project with you all! You know how much I love to create printables, especially ones that are pretty to look at! I got my inspiration for this product from a few places. home that were fun and easy to print to have ready to go. to students/parents would be included. Another source of inspiration came from the blog Jones Design Co.
designer and her monthly printables are so stylish and pretty. 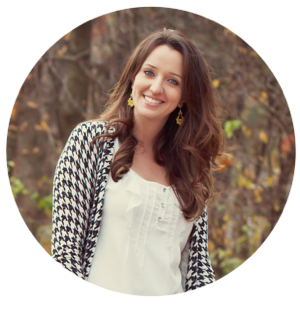 She creates monthly printables for personal and home organization. 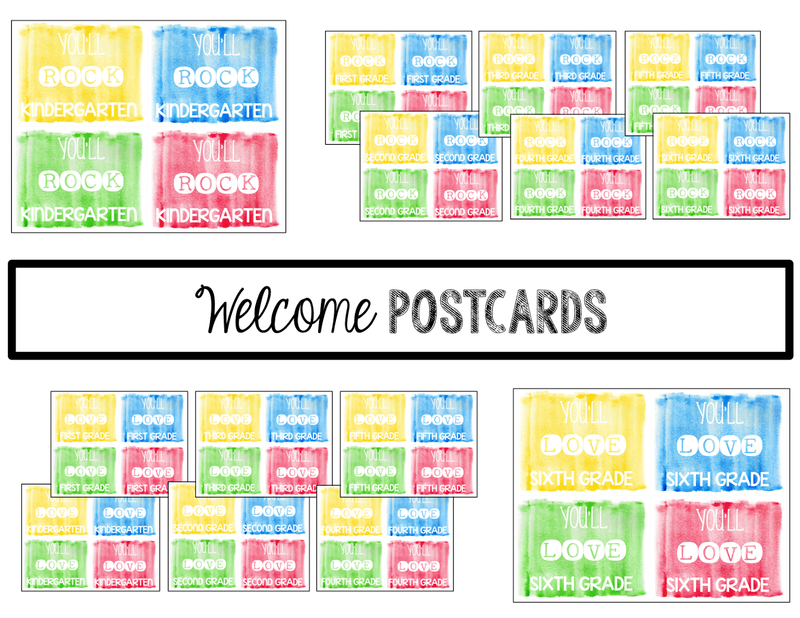 on me that I should create monthly printables for teachers! some up each month is right up my ally! at a glance, notecards, thank you cards, etc. things a teacher might need that month. months with all the Fall activities and events! Here are a few looks of the August printables. to fill out right away to show my appreciation! a head start on those positive notes! 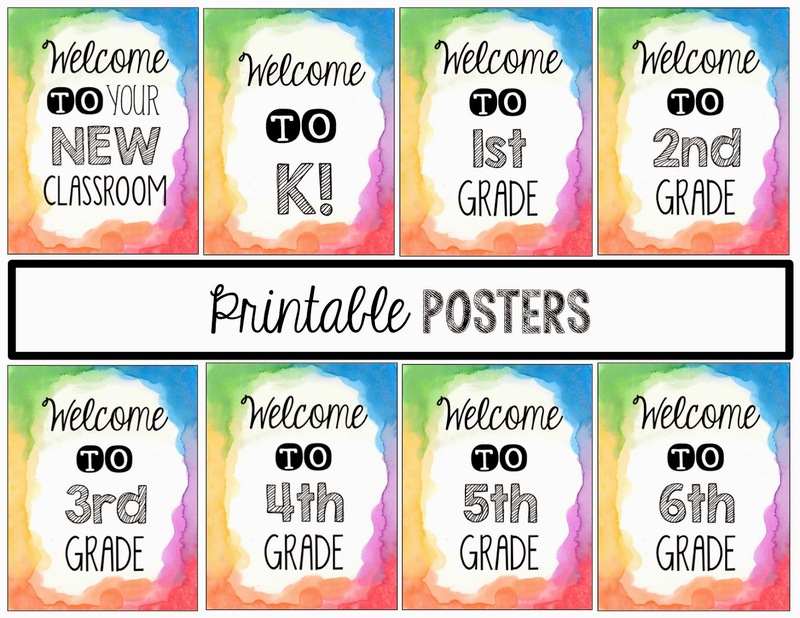 And some fun posters to hang or frame to decorate your classroom! 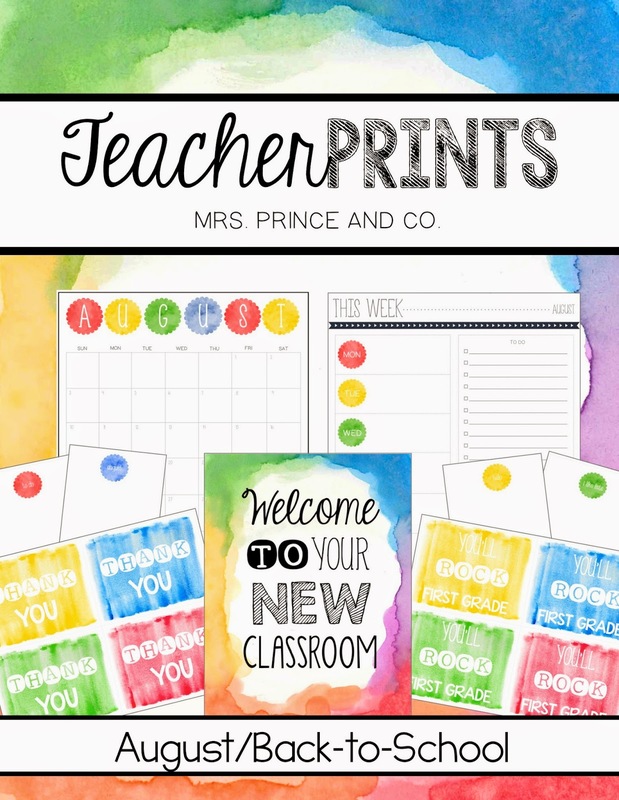 You can check out the August TeacherPRINTS in my TpT shop HERE! Want a chance to win it for FREE!? and be entered to win! telling me you follow me @mrsprinceandco. I'll pick 3 winners Thursday morning! My Instagram name is reneesaintlaurent. The reading corner. My email is renees@hotmail.com. Hello! I'm a first year second grade teacher and I would LOVE to win these teacher prints! They are adorable and make planning FUN! :) Blessings for a great school year! My Instagram is ldspears and my email is laynedavidson7@gmail.com. Thank you!